Associate (Chartered Legal Executive) Sharon Dunstan is the Conveyancing Team Leader (Carlisle). Chartered Legal Executive, Associate and Conveyancing Team Leader of our Carlisle office Sharon Dunstan re-joined Burnetts’ in 2015. Sharon has worked within law firms since she left school but has specialised in property law since 2000. She qualified as a Legal Executive in 2004 and became a Fellow of the Institute of Legal Executives in 2008. 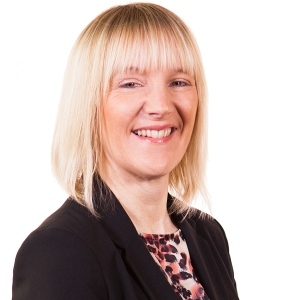 Sharon has an extensive knowledge and experience of residential and commercial conveyancing and advises on land and property sales, remortgages and purchases, including carrying out conveyancing for developers and builders, managing all the legal aspects of plot and home sales on their behalf. In her spare time, Sharon trains working border collies and competes in obedience competitions throughout the UK at a championship level, as well as judging in the UK, Northern Ireland, Isle of Man and Holland, in 2018 she judged the Obedience Championships at Crufts and also the Dutch Obedience Championships.